Mowing the Lawn Too Often – First, don’t give you lawn a severe “haircut.” Instead, only shear it to a length of two to three inches. 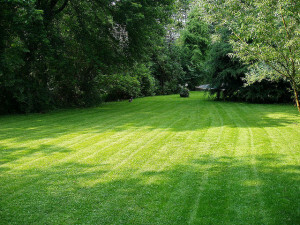 Allowing it grow long retains an appealing aesthetic look and also keeps the lawn healthy and weed resistant. Watering at the Wrong Time – It is no secret that water must get to the plant to be effective so there is no use in watering during the daylight hours and the hottest parts of the day or evaporation will have a significant effect. Simply put, water at night. Aerating Less than Needed – Oxygen and nutrients also need to make their way into a landscape. Twice-yearly aeration is the best way to accomplish this task. In the end, it means less watering and less fertilizing. 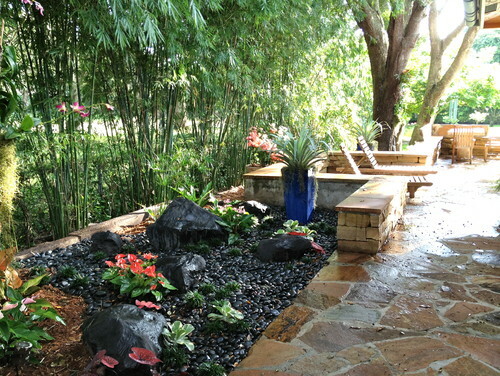 For more information on this and other landscape maintenance ideas, please contact us. Outdoor Expressions – Making your outdoor space a place to remember. ? While the flora is king in any landscape, it doesn’t hurt to add a little avian interest to the equation. Here are a few ideas for attracting our fine feathered friends to your backyard and making them feel right at home. Nothing attracts a mother bird looking for a nest than a safe and secure shelter for its eggs and young. Add several around the yard and you will soon have several avian families in the neighborhood. 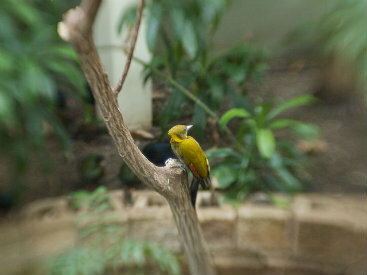 For bathing, as well as for drinking, a shallow dish replenished often with fresh water is quite enticing for almost every species of bird. Keep it off the ground, however, and away from trees where predators may lurk. Similarly, bird feeders with seed or sugar-water for hummingbirds are an excellent way to attract birds to a yard. Keep them high and strung with wire so squirrels and other pests cannot reach the food. For more information on these landscape ideas from one of Atlanta’s top landscape designers, please contact us at Outdoor Expressions – Making your outdoor-space a place to remember. 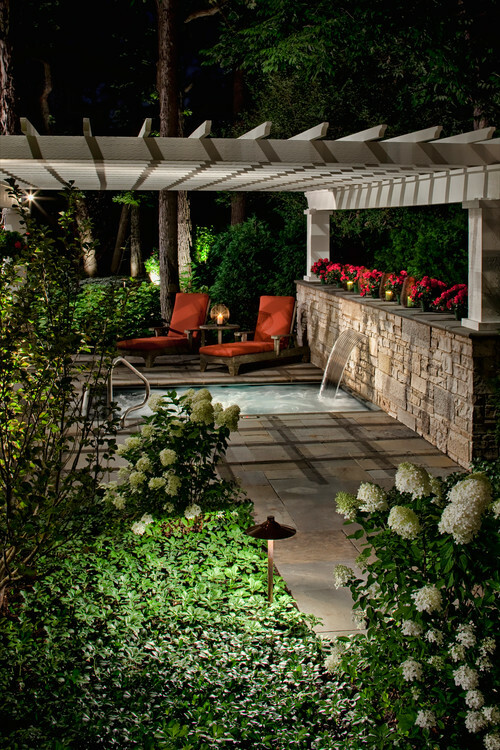 While most backyards are used during the daylight hours, the nighttime also offers some spectacular benefits to the homeowner who can take advantage. Here are a just a few suggestions for designing your landscape to enjoy the stars and the nighttime sky. Obviously, the first thing that you need to enjoy the stars is an unobstructed view. Shade is wonderful during the day but leave a space where one can see the night sky without the distraction of limbs and leaves. Relaxing on some full-length lounge chairs makes a great way to enjoy a view of the stars. Even better, add some double-wide ones so that a loved one can lay beside you. Nighttime entertaining requires a little extra effort when it comes to lighting but, if not done properly, it can ruin the nighttime viewing experience. Keep the lights low to the ground and at a wattage just enough to light the floor. For more information on these and other ideas on outdoor living rooms, please contact us. Outdoor Expressions – Making your outdoor space a place to remember. Get a Dog – While your little chihuahua or your lovable sheepdog may not be a true killer, their mere presence is enough to scare off a wide variety of pests including squirrels, raccoons and even some species of birds. Use Appropriate Plants – Animals have a far greater sensitivity to the smells and tastes of certain plants than do humans. 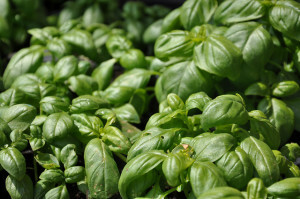 Planting cayenne pepper, garlic, chives or basil will keep your yard free of many pests such as mosquitos and gnats. Eliminate Non-Essential Attractants – Keeping your compost pile as far from the house is a good start but also do not place pet bowls with either water or food anywhere near the living space or you will attract pests. For more information on this and other landscape maintenance topics, please vcontact us at Outdoor Expressions – Making your outdoor space a place to remember. Black walls and fencing are an ideal way to focus attention on the plants and other natural materials that are in front of them while still performing their main function of blocking a view of the space behind them. Black makes an excellent frame for a colored wall or a colorful garden. Consider one when you have created a visually stunning focal point. For a bit of whimsy that is separate from the green items in your landscape, try coloring your building in only black and white. For more information on using black in your company landscaping or if you are considering commercial design firms in Atlanta, please visit us at Outdoor Expressions – Making your outdoor space a place to remember. 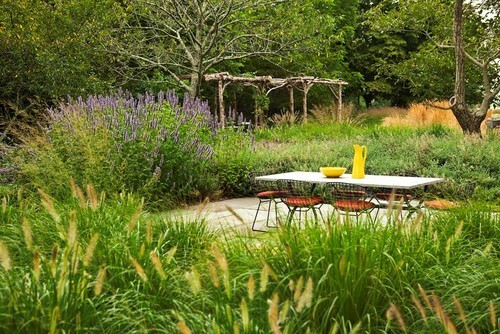 Create a Secluded Space – Keeping a dining space intimate is certainly a challenge when it is located outdoors. Still, adding a trellis, including privacy screens and even placing a rug underneath all contribute to a warmer, more secluded eating area. Use Distressed Furniture – Older, well-used furniture serves several purposes. First, you do not need to worry overly much about what the elements will do to it. Second, they provide a real homey and comfortable feel for your guests. Don’t Forget Nature – It may be tempting to concentrate on the furniture and other amenities in the space but the plants and shrubs that surround the space are just as important for creating the right atmosphere. For more fun outdoor dining room ideas or if you are in need of some hardscape construction in Atlanta, please contact us.